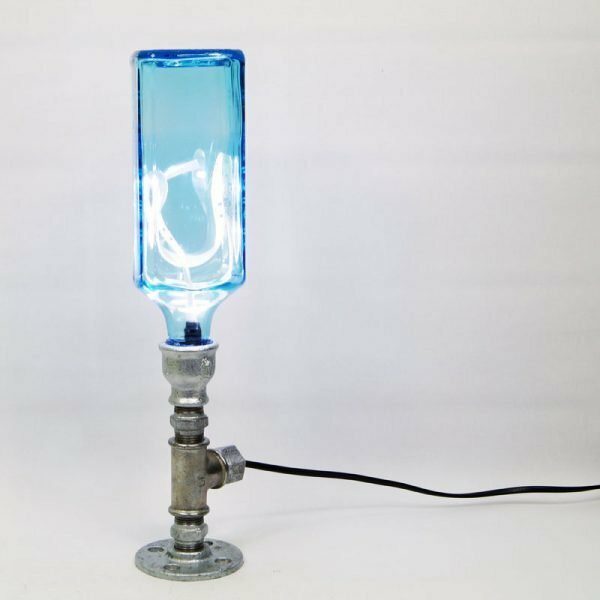 This bottle lamp is a product of Yiannis Dendrinos, a Greek artist living in Athens, Greece. 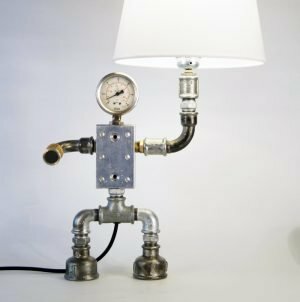 He is a sculptor and has created a series of amazing desk lamps made of plumbing parts. 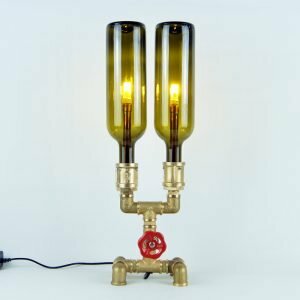 This bottle lamp make an ideal handmade gift. All parts are included and connected. 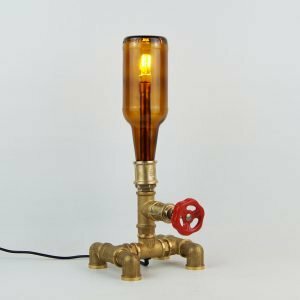 Colors, shapes and parts of the desk lamp may vary from the shown pictures in this page. It includes 1 meter of black wire, switch, Led strip included in the blue bottle, plug and 12V DC power supply.